The resorts of Walt Disney World offer a wide range of magical experiences for visitors from all over the globe. For many years, their hotels and resorts have been highly ranked by reviewers, travel agents, and visitors, so you’ll experience high class hospitality no matter which one you choose. 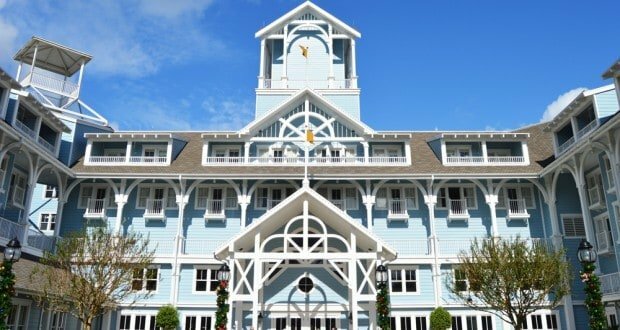 However, Disney’s Beach Club Resort should not escape your notice, because countless guests have absolutely loved staying there. The following are six reasons why you will love staying there, too. 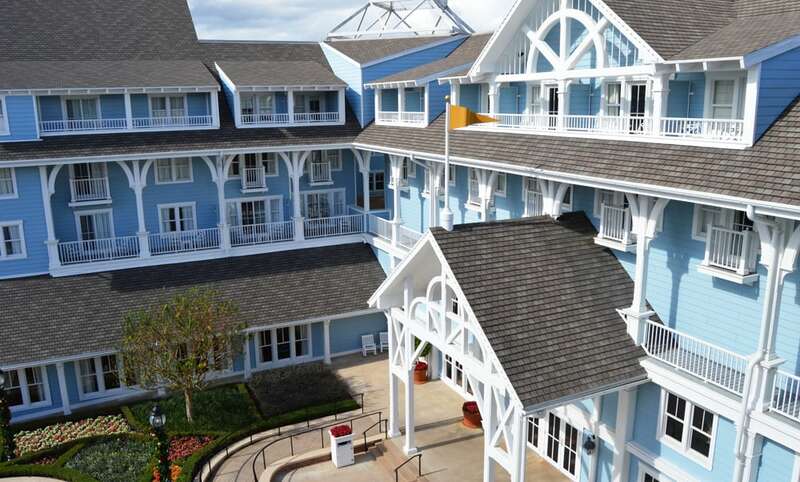 Imagine staying at an elegant, beachfront resort along the picturesque coasts of Connecticut, Massachusetts, or Maine, and you’ve discovered the atmosphere at Disney’s Beach Club Resort. This resort has captured the essence of New England’s waterfront hospitality with its architectural design, delicious cuisine, and sandy beach. You may have to remind yourself that you’re staying at Walt Disney World. 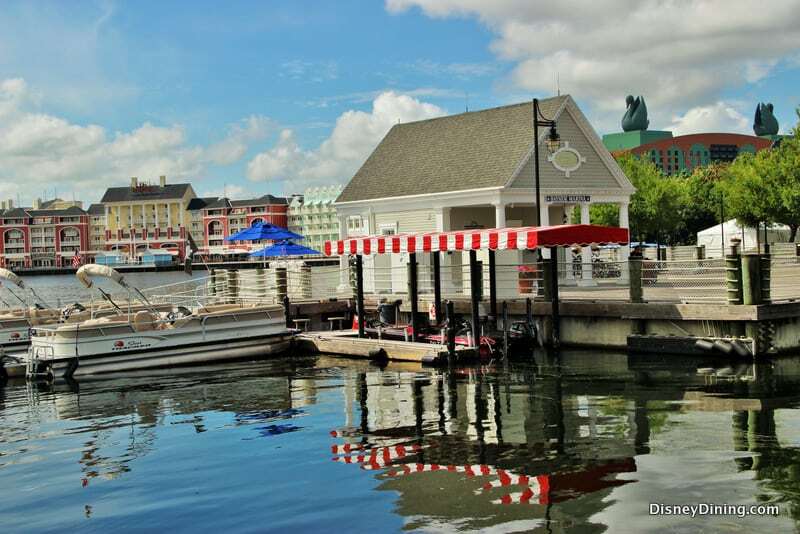 Of course, Disney takes what you may find at a typical New England resort and raises it to the nth degree with its world class hospitality team, which provides the luxuries of a deluxe resort in a relaxed, casual setting. Guests who can’t go a day without working out will enjoy the Ship Shape Health Club. This fitness center never closes, so no matter what schedule you keep, you’ll always have access to weights and exercise equipment. Also, there’s plenty of space around Crescent Lake for those preferring to jog outdoors. Of course, walking all day through the theme parks may have left you so sore that working out is the last thing you want to do. Fortunately, the resort offers massages and facials that are sure to relax and revitalize you. Walt Disney World provides a top notch transportation system that reaches every resort, attraction, restaurant, and theme park. Vehicles are not required when staying at a Disney resort; in fact, they often get in the way of a good time. Disney’s Beach Club Resort sits right next to Epcot’s World Showcase, making it a short walk to the park’s International Gateway Entrance. 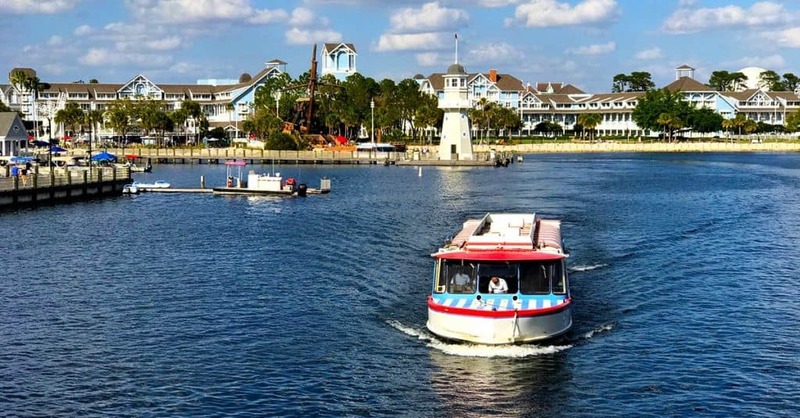 Those preferring to ride can catch a Friendship Boat to the entrance instead; in addition, these boats make the trip to Disney’s Boardwalk and Disney’s Hollywood Studios. Buses provide excellent transportation to the rest of Walt Disney World, but if they’re too crowded when Magic Kingdom is your destination, and you have tickets with the Park Hopper option, you can always catch the monorail at Epcot. 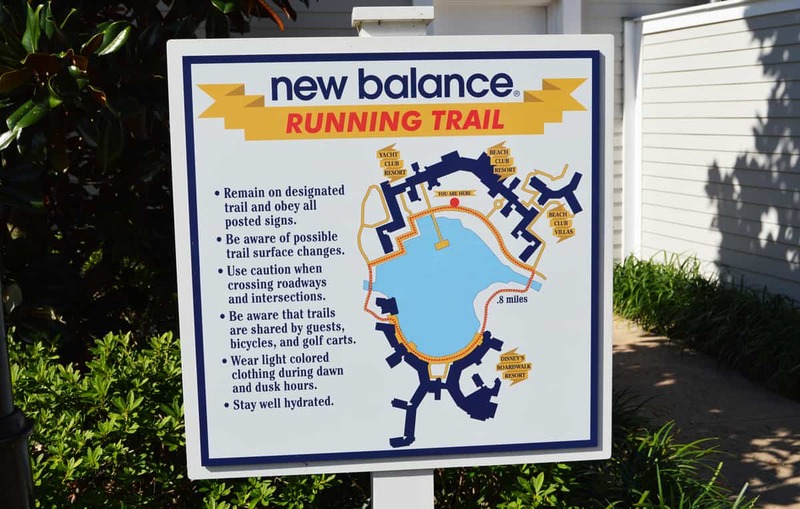 Those who love the water will appreciate the recreational offerings at Disney’s Beach Club Resort. Rent a mini-powerboat and tour Crescent Lake on your own, or sign up for a fishing trip that’s guided by professional anglers. You can also take a specialty cruise aboard a pontoon that sails up to the International Gateway and anchors just inside World Showcase Lagoon to view IllumiNations: Reflections of Earth. The fireworks show is truly remarkable when watched from the water. 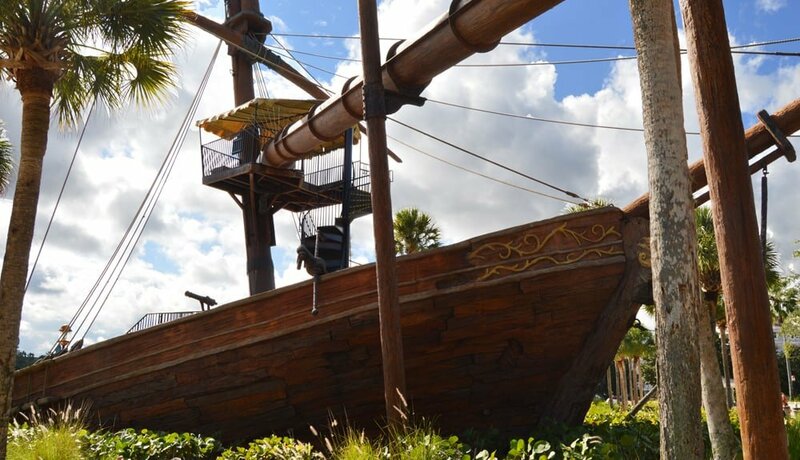 Disney also sets sail on the Albatross Treasure Cruise, a Pirate Adventure Cruise where kids, ages 4 to 12, embark on a treasure hunt across Crescent Lake and World Showcase Lagoon. No matter which boating experience you choose, your family is sure to enjoy their time on the water. The Beach Club’s close proximity to Epcot’s World Showcase offers its guests access to a wide variety of dining options. However, the restaurants at this resort also provide great dining experiences and delicious cuisine. For memorable moments, try eating at Cape May Café, where you can attend Minnie’s Beach Bash Breakfast. All the characters show up in their best beachwear to sign autographs, pose for pictures, and give warm hugs. 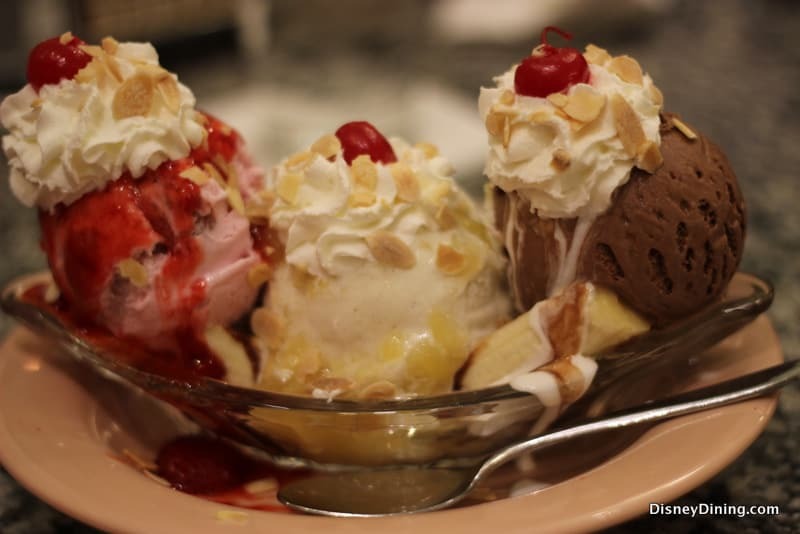 If you want to travel back in time to the 1950s, then Beaches & Cream Soda Shop will take you there with its menu and décor. Feast on shakes, burgers, fries, and hot dogs, but leave room for the Kitchen Sink, which holds enough ice cream to serve four guests. Or maybe you’re hungry for seafood or grilled steak. Next door at Disney’s Yacht Club Resort, you can find both Ale & Compass Restaurant and the upscale Yachtsman Steakhouse. Adults may also cap off the evening with a cocktail at Martha’s Vineyard. One of the best amenities your family will enjoy at Disney’s Beach Club Resort can be found at Stormalong Bay. Nestled between Disney’s Beach Club Resort and Yacht Club Resort, this recreation area features several pools that serve swimmers of all ages and levels, a lazy river, whirlpools, and a shipwreck with a tall waterslide. Hurricane Hanna’s Bar and Grill sits in the middle of the action, providing food and beverages for the hungry and thirsty while they’re cooling down in the water. Just like its New England counterparts, the resort sits along a stretch of beach with pristine sands skirting Crescent Lake. The slide, beach, and pools serve as the perfect diversion for your family when it’s time to take a relaxing break from the theme parks.